The Rediwa CAT 1 Slim System is a mixed hidden longitudinal fastening system specially developed by Wandegar and exclusively adapted for slim tiles, which merges the mechanical and chemical fixation of the tile. This system, carefully studied by our R+D Department, represents a new generation of ventilated facades. Thanks to its leading technology, the system provides lighter facades with top mechanical performance as well as relevant construction time savings due to its low weight. The porcelain tiles are industrially grooved in a longitudinal way on the top and the bottom of its backside, where a couple of aluminum profiles are inserted and fixed industrially using a structural adhesive. This process may be especially important for projects under hard weather conditions, where chemical products applications cannot be made in the required conditions to ensure quality, and, specially, in projects with tight deadlines. 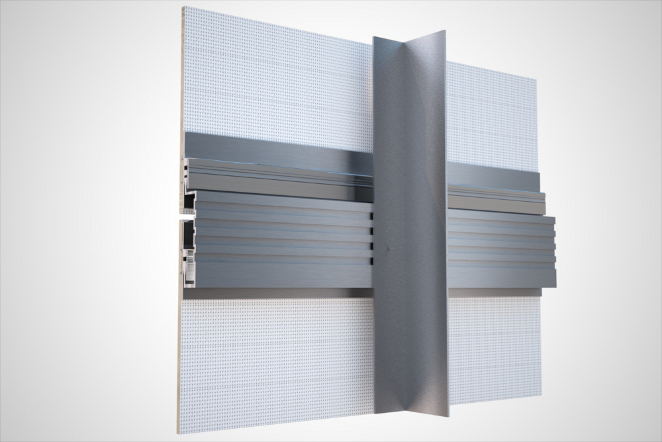 The Rediwa C.A.T 1 Slim represents a new generation of ventilated facades systems, integrating all tile fixation types into one system to offer the highest safety rates for facades in the architectural field.